Remember Lockitron, the wireless-enabled door lock that you could control on your smartphone from anywhere in the world? Meet it’s new pal, DoorBot. 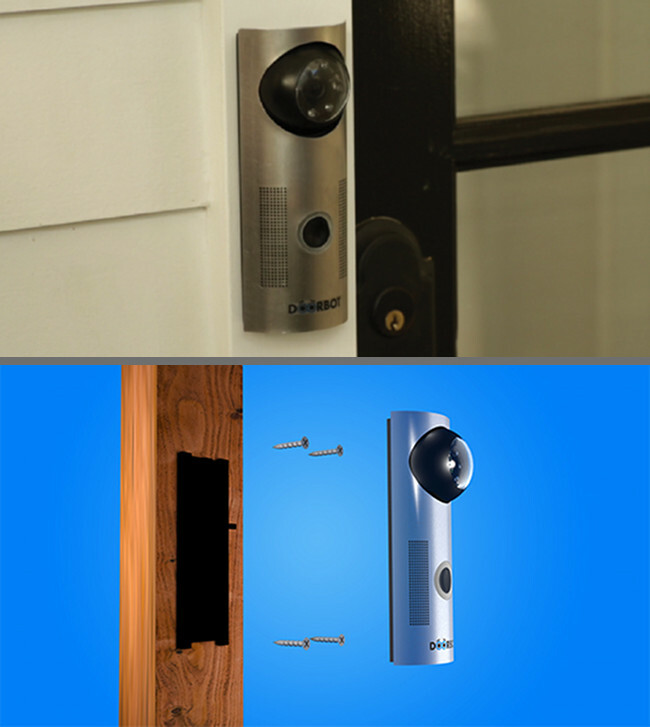 DoorBot is a wireless and battery powered front door camera/doorbell that pairs wonderfully with Lockitron to give you the ultimate combined smartphone and front door lock experience. As someone approaches your door and rings the doorbell with DoorBot, you are notified on your smartphone or tablet with a message and live video of the person. You can view this over data or WiFi, so just like Lockitron, it can be accessed from anywhere in the world. You can even talk to the person through the speaker and microphone system that comes equipped with DoorBot. How does it pair with Lockitron? The creators of each product worked together to add in lock/unlock support into the DoorBot app, so that if you are using Lockitron on your door, you can unlock the door for the person quite easily. Also like Lockitron, this is a crowdfunded project. As of this posting, DoorBot’s creators sit at $131,000 funds raised, but they need $250,000 to get the project fully funded. There are 25 days left, so if this sounds like something you can’t live without, or if you think it would pair nicely with the Lockitron that you already committed to, think about DoorBot. The Doorbot by itself is $169. If you combine it with a Lockitron it’s $319.